There’s further proof that Apple’s next-generation iPhone is making its way down the assembly line. 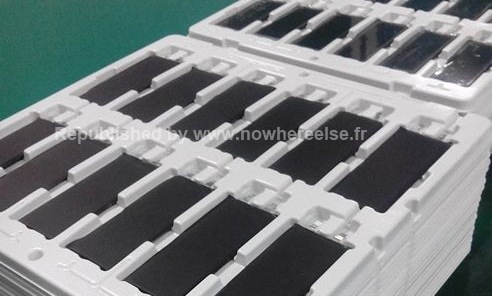 A new set of photos published by Nowhereelse.fr show what is being described as trays of batteries intended for the so-called “iPhone 5S.” According to the report, the photos show the batteries before they have been equipped with the appropriate connector. Naturally, there is no way to confirm that these photos are genuine. In fact, since the batteries are unmarked, information about capacity and voltage is unknown. 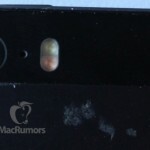 Nonetheless, these photos represent the latest in a series leaked in recent weeks that suggest the iPhone 5S is coming sooner, rather than later. 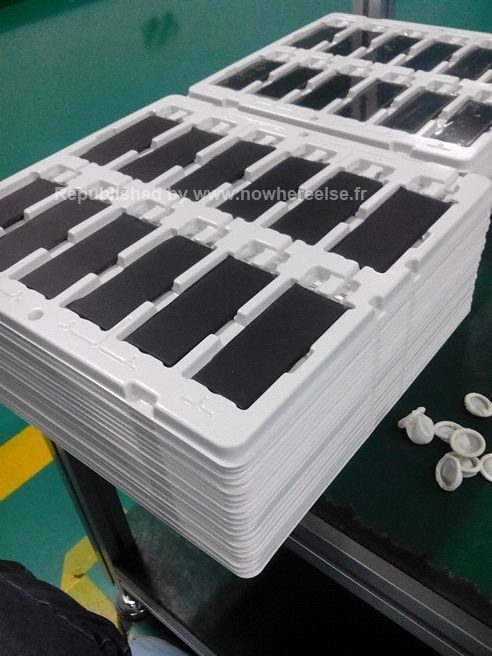 Just a few days after the back panel and interior of the iPhone 5S were apparently caught on camera, another purported photo leaked of the handset’s front screen. 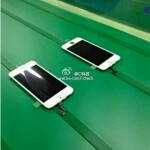 Before that, a photo was leaked that apparently showed the new iPhone's dual LED flash. Apple is expected to unveil the iPhone 5S at a press event sometime between August and October. When they do, they are also likely to unveil the so-called "iPhone mini." For more information, see: Case Makers Are Gambling That Their Designs Match Those Of Apple, Photos Leak That Purportedly Show Parts For Apple's Next iPhone, and Apple Is Awarded A Patent For A Technology Already Enjoyed By Samsung Users.